Most of our internal and external doors are manufactured using engineered component parts. This enables us to provide a product that offers a solid feel, combined with all the advantages that engineering brings in terms of strength, consistency and stability. 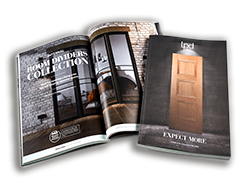 All of our engineered doors are faced with veneers and matching lippings.